Alongside the main dozen Christmas 2015 toys recommended by the Toy Retailers Association in the UK & Ireland, we have a number of categories featuring notable other toys. 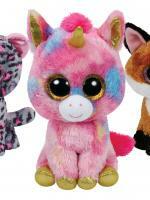 The Cute, Cuddly & Smart section features twelve toys, all of which are generally soft huggable creatures. : 43cm function doll dressed in a Wonderland theme outfit with cute little shoes, tiara and magical wings. 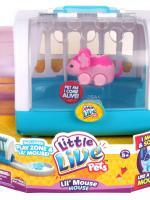 BABY born Interactive has 8 lifelike functions, 10 accessories and no batteries required. Doll functions include drinking & wetting, goes on her potty, tearing, open/ closes eyes, feeding and is abatable. 43cm function doll dressed in a Wonderland theme outfit with cute little shoes, tiara and magical wings. : Your touch brings me to life! Pet my back and I fall asleep, then make cute snoring and sighing sounds. 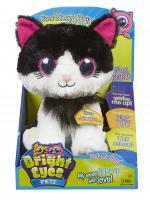 Expressive light up eyes & cute sound effects! Pet my head to wake me up! Silent bedtime play mode. : Sings three songs. Over 30 Cheer Bear phrases. 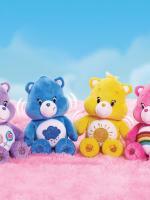 When two or more Sing-a-Long Care Bears are together they sing in sync and talk to each other. Sparkly belly badge and paws. They wiggle as they sing. : Clever Keet is your feathered friend whos just like a real bird only smarter. 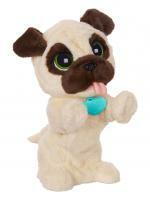 Give him a name, pet him and watch him come to life – he talk, sings, dances and swings. He will repsond to your voice. Teach him to speak – he will mix up your words! You can even ask him questions and he will respond. 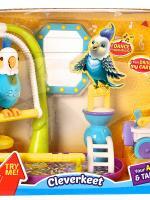 With playground providing various areas for your clever keet to play, sit and swing him on the perch. Includes adoption certificate. : Free app for iOS or Android. Type in all sorts of information about the child and their family to bring Freddy to life. Little ones will be amazed that their bear knows all about them! The app includes lots of activities with counting, colours, animals and more. 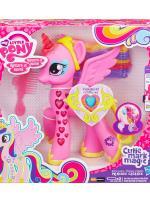 : Glowing Hearts Princess Cadance pony figure has beautiful glowing hearts on her shoulder and leg. Includes horn decoration. Figure has rainbow hair and tail. Includes tiara and comb to style her hair. My Little Pony Friendship Celebration app works with iPhone, iPad, iPod touch, and select Android devices. : Play ring-a-ring-a-roses! 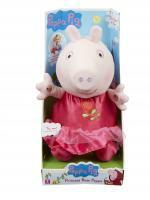 Hold Peppa’s hands and she’ll sing to you. Let go and she’ll stop singing. Beautiful Princess Rose styling. : How many pups will you get with Puppy Surprise Popcorn? Soft and huggable Popcorn could have three, four or even five sweet little puppies inside! Back and better than ever, Puppy surprise give you a whole doggy family to love, groom and nurture. 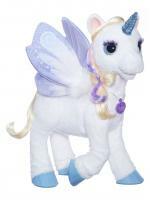 These adorable soft toys are ideal for kids aged three and up. 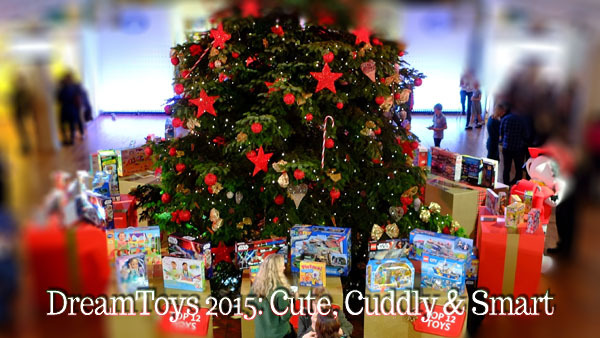 Now check out the main DreamToys 2015 Dozen.